OSTEOLOGY: Skeletons could provide clues to who wrote or protected the Dead Sea Scrolls. Few women or children have been found at Qumran burial site, suggesting similarities to Byzantine monastery cemeteries (Bruce Bower, Science News). Analyses of 33 newly excavated skeletons of people buried at the West Bank site, Qumran, supports a view that the community consisted of a religious sect of celibate men. Anthropologist Yossi Nagar of the Israel Antiquities Authority in Jerusalem presented the findings November 16 at the annual meeting of the American Schools of Oriental Research. 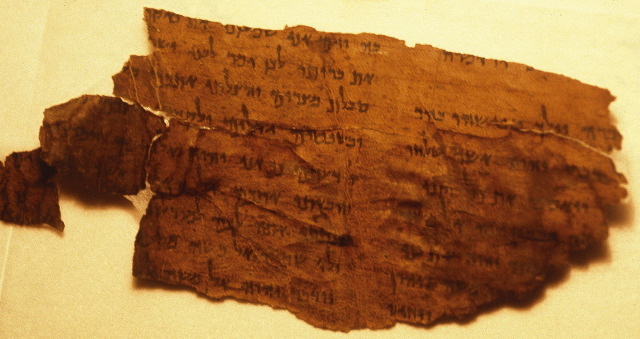 Preliminary radiocarbon dating of one of the Qumran bones indicates that the interred bodies are around 2,200 years old — close to the same age as the ancient texts, which are estimated to have been written between around 150 B.C. and A.D. 70. Plus, reexamination of 53 previously unearthed human skeletons from Qumran’s cemetery, now housed in France, found that six of seven individuals formerly tagged as women were actually men, Nagar said. A small number of children have also been excavated at Qumran. The skeletons excavated at Qumran have been controversial for quite some time, mainly because analysis of them is so difficult. These latest results are interesting and could be important for our understanding of the site of Qumran and even for our understanding of the origins of the Dead Sea Scrolls — if the results are upheld in peer-review publication. Cross-file under Technology Watch.